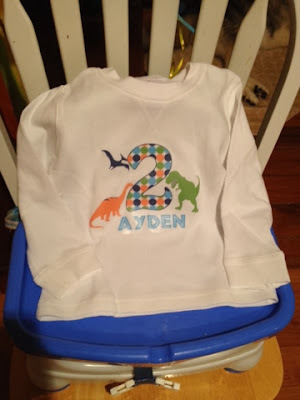 Because of Ayden's illness last week, I wasn't able to tackle quite as many DIY birthday party things as I had wanted. But that doesn't bother me. At this point, it's more for myself than him anyway since he'd be just as happy if all we did was have some kids over to play (and even if we didn't, he still wouldn't know the difference). I did manage to get a few things ready for the party this weekend and I wanted to share my favorite. 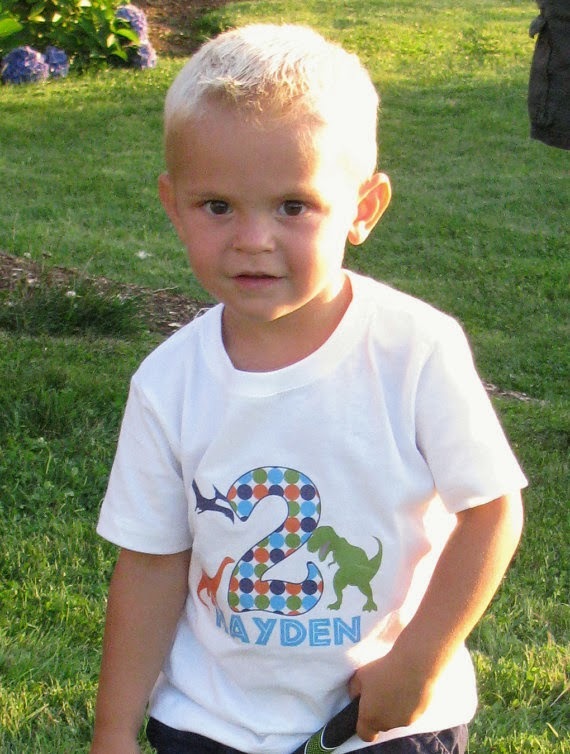 It was funny because at first glance, I thought the shirt said "Ayden" but then realized it said "Hayden." 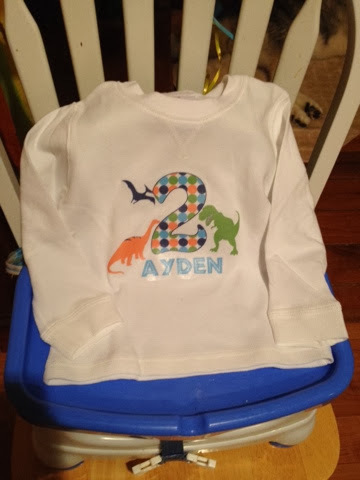 I thought, "What are the chances that this little boy's name is Ayden, spelled the same way, and he was turning 2 too??" Anyway, the process was really easy, I placed my order, paid with Paypal and as soon as my payment went through, I had an email with the file attached. 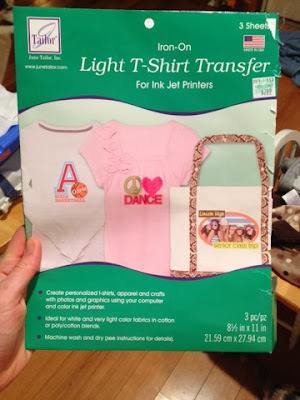 I printed out the design, followed the instructions on the transfer paper packaging and in no time, had a custom birthday shirt for my birthday boy! I am in no way affiliated with the Cupcake Express Etsy shop. Just a happy customer that wants to spread the love. She has got a TON of printable goodies for all kinds of themes over at her shop. If you are in the market, go check her out! Flashback! Here's what we were up to one year ago today: "From Milk To Table Food"